EA's Senior European Vice President has told Official Xbox Magazine that he feels that the company has 'maxed out' on the Xbox, but is yet to realise the true power of the PlayStation 3. In an interesting interview, Patrick Soderlund tells OXM that he was pleased to see the arrival of Project Natal from Microsoft at E3, but had some words of caution for Xbox. "Sony has a lot of good games this year. If you go to their booth, there's a very consistent, high quality product line-up and that will help them," said Soderlund. "I think that we've maxed out the 360 but we haven't maxed out the PS3." 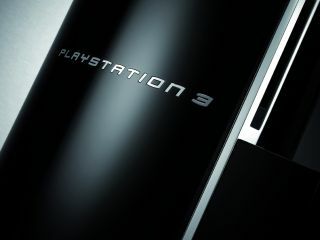 The quote will no doubt be welcomed by Sony, a company that has been keen to push the message that the PS3 is the more powerful machine in the latest generation of consoles. But Soderlund, despite his thoughts about the power of the PlayStation, still favours the Xbox. "It's my personal favourite console," he adds. "I think Microsoft is on a roll right now. They're doing really well. If I was Sony, I would have a headache, to be honest."